I. It was difficult to pay attention to anything but the mass of people that seemed to constantly surround me. Throughout the day, I found fears of terrorist attacks—or disbelief at how a terrorist attack had not yet occurred at the park—infiltrating my mind. I remember being packed into a bus on the way from our hotel to the park, standing with my pale tourist arms and legs rubbing against child limbs and moms’ Bermuda shorts, and thinking how perfect of a target we would be. It was replaced with excitement at the sight of Cinderella’s Castle in the distance, but came back as we went through the minimum-security checkpoint, where an amiable old man takes a quick glance into your bag if you’re carrying one. I thought of some twisted man dressed as a regular dad, wearing cargo shorts filled with explosives. Then there was the thought. It had infiltrated the dark space in my head. We’re all gonna die. It was like a gas chamber. Like a terrorist attack. There are so many kids in here. Then the lights went out again. For immersive 4-D purposes, water—I think meant to be alien spit—squirted from above onto my head. I screamed in shock, jerked forward, and slammed my teeth onto the bar locking me into my chair. The same thought had hit me hard and fast. II. Disney World has the most surreal, faux-immersive atmosphere. The sky is enormous—almost otherworldly. At one point I felt as though I were in an enclosed, imaginary world, like in The Truman Show. The park’s unreal dreaminess transported me and held me captive until I left the front gates. (But of course, nothing in this other world was free. In fact, everything was fairly overpriced. And all things had endless copies of themselves, so if you bought something, you would be guaranteed to see it countless times again on other people or on other store shelves.) At times, even as an adult, I really did get the feeling that I was in the movies I had seen on a flat screen at home. Disney is a master of darkness—all the best rides are nearly entirely dark, concealing anything false and drawing riders into the illusion. (Space Mountain accomplishes this move best. It’s genius—pinpricks of stars in a pitch-black room with a roller coaster spinning down a vortex. Enormously cooler that a faster, taller roller coaster.) Yet sometimes, I would be abruptly shocked out of the illusion. For one, everything that seems enormous and kingdom-like from afar is miniature up close. As we entered the park, I asked my friend if we could go into the top of the castle tower. She promptly informed me that at the top, the rooms would be much too small for a person to fit—they’re only built to look as though Cinderella could live up there. This made sense once I got up close, and the castle seemed small. I guess if I were shorter, or kid-sized, this might not be an issue. Then there are the rides that were rides before they were movies—namely, Pirates of the Caribbean and the Haunted Mansion. 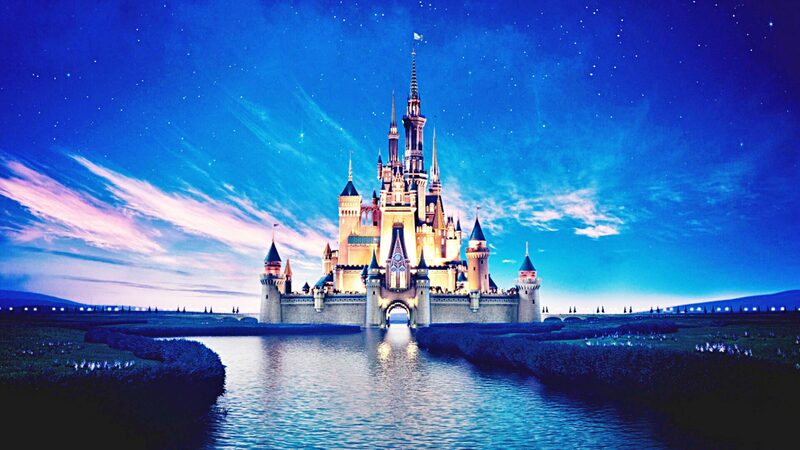 Disney World was created to bring movies to life, so viewers could inhabit them, interact with their characters and experience their atmospheres. But it’s as though we’ve entered a post-movie age for Disney, where the popularity of the park precedes the movies it is representing. These two rides were so famous, so popular, that Disney decided they could afford to make entire blockbuster movies out of them. For me, as a first-timer, these rides were great, though they did not bring me into the films I remembered the way that other parts of the park did. In Pirates, for example, I was quickly notified that the Jack Sparrow animatron was added to the ride after the movie was made. And as I took a look around, and there was notably little to do with the plot of the movie in the ride, this made a kind of sense. III. I remember the fireworks most. The Magic Kingdom actually did feel kind of magical at this point—when it was bathed in the blue dark, when sweaty tourists became an amorphous crowd, and the castle was lit in alternating bright shades, like a coloring book drawing of itself. Each explosion had me further enraptured, as I stood between my friend re-experiencing her childhood and an old park employee singing all the words to the song playing loudly in the background. I was most drawn in here. I felt a sort of collective nostalgia with everyone else there. I had never experienced this moment they looked back on, but it felt as though I had. I suppose that is the nostalgia of the mass media—that when it comes to movies, nearly everyone at that park had a similar childhood experience. My friend told me that she felt like she was in her father’s arms again, in the days when she had a full-on crush on Mickey and needed to be held above the crowds so she could see. I had never been here as a child, had any emotional or happy or meaningful experience here. But I cried. And then, when it was all over, I looked at myself in disbelief. I didn’t understand how it was that I could walk around the park, critiquing the mass materialism while also being helplessly drawn into it. Or how I could get sucked into that fireworks show, into the cow-eyed staring crowd with craned necks and lit faces, allow all that shared sentimentality to bring me to tears, and then about a minute after it was done think to myself how some sort of integration of an attack with that show would be the ultimate spectacle—the worst, most genius terrorist attack in history. I cried out of a collective joy, and then feared my inclusion in the crowd that surrounded me. I was in the happiest place on earth, and I was scared out of my wits. Unhappily terrible and very racist text…even The castle it’s wrong, This one is in Disneyland ..Cinderella is in Orlando. These articles are wonderful; I just found this site, but it’s really interesting. I like the way you talked about fear amidst a generally enjoyable atmosphere. I agree, it seems odd to think about potential dangerous events, and yet it makes sense to consider. Also, yeah, that entire mass nostalgia feeling is insane.